Patz, 17, is committed to fighting for educational and LGBTQ justice in Kern County. She fights for inclusion and acceptance of young people through her involvement in campaigns, campus advocacy, civic engagement and legislative advocacy. Patz, a senior at Mojave River Academy, has worked with South Kern Sol, a youth media platform in Kern County, to change the narrative about LGBTQ youth in her community and to provide a platform for her LGBTQ peers to share the struggles that they experience. The stories she has told, both her own and her peers’, of being bullied led to routine meetings between the school administration and her Gay Straight Alliance club at school. Her storytelling also resulted in anti-bullying assemblies at the Kern High School District to address the widespread bullying of LGBTQ students. As a result, Patz’s leadership has created a safer and more inclusive school climate within the school district, particularly at West High School. 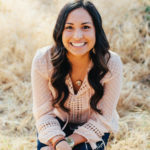 In addition to her work with South Kern Sol, Patz has raised awareness of the LGBTQ community through workshops and youth-led panels addressing the diversity of LGBTQ identities, homophobia, transphobia and how to be an ally to LGBTQ youth. She has helped build a community for LGBTQ youth by planning Bakersfield’s annual Queer Prom, participating on the planning committee for Kern County’s LGBTQ Youth Summit and facilitating Teens for Equality meetings, which provides social support. Patz is one of just 16 youth reporters who received awards out of 231 nominees. The California Endowment will recognize Patz, along with the other 15 Community Champion Award recipients, on Oct. 20 at the inaugural California Endowment Youth Awards in Los Angeles.